Despite Hugh Jackman being adamant that last year’s Logan would be his swansong as Wolverine he’s already thinking about returning to the role. It’s barely been a year since Jackman decided to sheath his adamantium claws for good, finally laying to rest the world’s most dangerous member of the X-Men. However, it seems he could be toying with the idea of popping said claws again if actor Sebastian Stan has anything to say about it. As you know Stan plays Captain America’s best friend and war buddy, turned mind-wiped assassin, Bucky Barnes (aka The Winter Soldier), he’s been in all three Cap films and will feature heavily in this year’s Avengers: Infinity War. During an Ace Comic-Con event, where he appeared alongside co-stars Chris Evans and Anthony Mackie (Captain America and the Falcon), he revealed he had a conversation with Jackman where the two discussed the possibility of him joining the MCU. Recently, I happened to be sitting next to Hugh Jackman. I didn’t know what other awkward thing I could talk about, but to be like, ‘Am I going to see you soon?’ I don’t know, but he said a couple things to me and I’ll just leave it at that. Otherwise, I think I’m going to get into trouble. I asked him cause I kept thinking whether or not he said Logan was supposed to be the last Wolverine thing. He said to me what’s probably been said out there that he’s been thinking about it and it’s on his mind. So, I don’t know. The reason why this is intriguing is that before the end of 2017, Disney, who own Marvel Studios, recently bought back the film rights to both the X-Men and the Fantastic Four from Fox studios. This recent acquisition means that in the future we could possibly see both teams making their debut in the MCU. It also builds on recent comments made by Thor’s Chris Hemsworth who revealed he too wants to ‘coax him’ back into the role. … Wolverine, just because I love that character, you know what I mean? I just love Hugh Jackman. Unfortunately, he died in the last movie, didn’t he? We can bring him back to life… Now that you’ve informed me that it’s a possibility I’m going to get on the one phone and try to coax him over or convince him and see if he has one more in him. 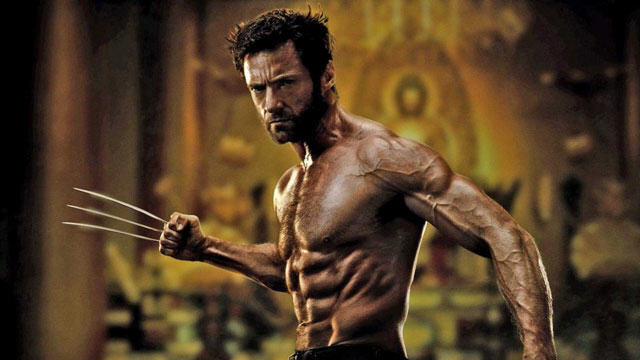 For many film and comic book fans Jackman will always remain the Wolverine, but as much as I’d like to see him return to the role I think Logan was a fitting way to cap off his tenure as ‘the best there is at what he does (but what he does isn’t nice)’.